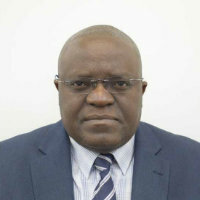 Dr. Sam Kamuriwo is Associate Professor/Reader in Strategy at Cass Business School and before joining Cass in 2007, had extensive executive-level industry experience in Africa. Sam Kamuriwo's expertise is in organizational innovation and knowledge-based strategies. Sam is currently working on 2 main projects (1) capability accumulation challenges in complex project-based contexts and (2) technology-based innovation-for-impact business model development in emerging economies. His research work has been published in leading innovation journals such as Research Policy and Journal of Product Innovation management and management journals such Leadership Quarterly, Entrepreneurship Theory and Practice, British Journal of Management, Journal of Business Research. His research has received recognition with Cass Business School research awards in 2013, 2015 and 2016 and has appeared in the Academy of Management Best Paper Proceedings. Dr. Kamuriwo teaches core strategy courses in the Master's programs at Cass Business School. and a long-running venturing elective for the MBAs. In 2010, he was a Visiting Scholar at Wharton Business School, University of Pennsylvania. Sam Kamuriwo holds a Ph.D. and MBA from Cass and a BSc in electrical engineering. My research is on knowledge and innovation strategies using alliances and acquisitions especially in technology-intensive contexts. My other research is on board level strategies and how leverage strategic board knowledge in the form of board capital on its own or alongside firm alliances to achieve important firm objectives such as executive compensation, firm innovation and firm economic performance. Kamuriwo, D. (2015). VC contracts and institutions (Mitigating Moral Hazard and Adverse Selection in Venture Capital Industry ). 2015 Annual Meeting of the Academy of Management: Opening Governance 7-11 August, Vancouver, British Columbia, Canada. Kamuriwo, D. and Chizema, A. (2015). Board delivery and firm perfomance: Republic of South Africa. Africa Academy of Management 2nd Biennial Conference: Sustainable Development in Africa Through Management Theory, Research and Practice: A Commentary 8 Jan 2014 – 11 Jan 2014, University of Botswana, Gaborone, Botswana. Kamuriwo, D. and Chizema, A. (2013). Institutions, individual level factors and entrepreneurial entry: the case of South Africa. Academy of Management Africa Conference 2013 7-10 January, Gordon Institute of Business Science, Johannesburg, South Africa. Kamuriwo, D., Billitteri, C. and Hommel, U. (2012). Pre-investment Screening and Contractual Rights: Venture Capital Contracting in US and Europe. The XXIII ISPIM Conference 2012: Action for Innovation: Innovating from Experience 17-20 June, Barcelona, Spain. Kamuriwo, D.S. and Chizema, A. (2013). Induced and opportunity based entrepreneurial entry: The case of South Africa. Academy of Africa Management Conference 12 Aug 2011 – 16 Aug 2011, San Antonio, Texas, USA. Kamuriwo, D.S. (2010). Contingency between virtual and traditional models and breadth of strategy. Sol. C Snider Entrepreneurial Research Centre Wharton Business School. Kamuriwo, D.S. (2009). Timing in business model and product market strategy tradeoffs: Performance implications. Academy of Management Conference: Green Management Matters 7-11 August, Chicago, USA. Kamuriwo, S.D. and Baden Fuller, C. (2009). Knowledge Building and Organization Design. Academy of Management Chicago, USA. Kamuriwo, D.S. (2009). New Organisational Forms and Product Market Strategy Tradeoffs: Performance Implications. Academy of International Business San Diego, USA. Kamuriwo, S.D. and Zhang, J.J. (2008). Beyond filling in knowledge gaps: How alliances fit into business model design and execution. LRP Special Issue Conference on Business Models Cass, UK. Kamuriwo, D.S. (2008). Knowledge Building Trajectories and the design of boundary spanning activities. Academy of Management Annual Conference Anaheim, California. Kamuriwo, S.D. and Baden Fuller, C. (2008). Knowledge Building Trajectories and the Design of Organizational Boundary Spanning Activities. Academy of International Business Milan, Italy. Kamuriwo, S.D. and Baden Fuller, C. (2007). The Knowledge building dilemma of new firms. Babson Conference Instituto de Empresa Business School (IEBS), Madrid, Spain. Kamuriwo, D.S. (2006). Absorptive Capacity and Innovative Performance in Young Technology based Firms. Academy of Management Atlanta, USA. Kamuriwo, D.S. (2005). Contingency based model for knowledge building. Cass Research Day Cass, UK. Bellavitis, C., Kamuriwo, D.S. and Hommel, U. (2018). Mitigation of Moral Hazard and Adverse Selection in Venture Capital Financing: The Influence of the Country's Institutional Setting. Journal of Small Business Management. doi:10.1111/jsbm.12391 . Bellavitis, C., Kamuriwo, D.S. and Hommel, U. (2017). Mitigating agency risk between investors and ventures’ managers. Journal of General Management, 43(1), pp. 33–43. doi:10.1177/0306307017722937 . Kamuriwo, D.S., Baden-Fuller, C. and Zhang, J. (2017). Knowledge Development Approaches and Breakthrough Innovations in Technology-Based New Firms. Journal of Product Innovation Management, 34(4), pp. 492–508. doi:10.1111/jpim.12393 . Bellavitis, C., Filatotchev, I., Kamuriwo, D.S. and Vanacker, T. (2017). Entrepreneurial finance: new frontiers of research and practice: Editorial for the special issue Embracing entrepreneurial funding innovations. Venture Capital, 19(1-2), pp. 1–16. doi:10.1080/13691066.2016.1259733 . Mazzola, E., Perrone, G. and Kamuriwo, D.S. (2016). Network Positions and the Probability of Being Acquired: An Empirical Analysis in the Biopharmaceutical Industry. British Journal of Management, 27(3), pp. 516–533. doi:10.1111/1467-8551.12174 . Kamuriwo, D.S. and Baden-Fuller, C. (2016). Knowledge integration using product R&D outsourcing in biotechnology. Research Policy, 45(5), pp. 1031–1045. doi:10.1016/j.respol.2016.02.009 . Mazzola, E., Perrone, G. and Kamuriwo, D.S. (2016). The interaction between inter-firm and interlocking directorate networks on firm's new product development outcomes. Journal of Business Research, 69(2), pp. 672–682. doi:10.1016/j.jbusres.2015.08.033 . Burchardt, J., Hommel, U., Kamuriwo, D.S. and Billitteri, C. (2016). Venture Capital Contracting in Theory and Practice: Implications for Entrepreneurship Research. Entrepreneurship: Theory and Practice, 40(1), pp. 25–48. doi:10.1111/etap.12104 . Chizema, A., Kamuriwo, D.S. and Shinozawa, Y. (2015). Women on corporate boards around the world: Triggers and barriers. The Leadership Quarterly, 26(6), pp. 1051–1065. doi:10.1016/j.leaqua.2015.07.005 . Mazzola, E., Perrone, G. and Kamuriwo, D.S. (2015). Network embeddedness and new product development in the biopharmaceutical industry: The moderating role of open innovation flow. International Journal of Production Economics, 160, pp. 106–119. doi:10.1016/j.ijpe.2014.10.002 . Bellavitis, C., Filatotchev, I. and Kamuriwo, D.S. (2014). The effects of intra-industry and extra-industry networks on performance: A case of venture capital portfolio firms. Managerial and Decision Economics, 35(2), pp. 129–144. doi:10.1002/mde.2647 . Kamuriwo, D.S. and Baden-Fuller, C. (2014). Note to instructors: Sparrow therapeutics exit strategy. Entrepreneurship: Theory and Practice, 38(3), pp. 708–712. doi:10.1111/etap.12003_2 . Kamuriwo, D.S. and Baden-Fuller, C. (2014). Sparrow therapeutics exit strategy. Entrepreneurship: Theory and Practice, 38(3), pp. 691–708. doi:10.1111/etap.12003 . Kamuriwo, D.S., Billitteri, C. and Hommel, U. (2012). Pre-investment screening, contractual rights and monitoring in Venture Capital contracting: a conceptual review. Entrepreneurship Theory and Practice. Kamuriwo, D. and Baden-Fuller, C. (2006). Adapting to Create Value in a Young European Biotech: The Case of Arrow Therapeutics Limited. Gate2Growth Academic Network in Entrepreneurship, Innovation and Finance, EIASM. Kamuriwo, D. and Baden-Fuller, C. (2006). Managing High Technology Risk through Innovative Organisation: The Case of Evolutec Plc. Gate2GroWth Academic Network in Entrepreneurship, Innovation and Finance. Kamuriwo, D.S. and Chizema, A. (2011). strategic entrepreneurial entry in South Africa. Kamuriwo, D.S. and Hommel, U. (2011). Venture Capital contracts risk and governance trade-offs. Research Policy, Referee, 2016 – present. Journal of Management Studies, Referee, 2013 – present. Technovation, Referee, 2010 – present. Academy of International Business, Referee, 2008 – present. Academy of Management, Referee, 2007 – present. Long Range Planning, Referee, 2003 – present. Euram - Entrepreneurial Finance track. (Conference) Poland (2015). Chair, Session/Day Chair and Organising Committee. EURAM Poland. (Conference) Poland (2015). AOM Vancouver. (Conference) Vancouver, Canada (2015). Invited speaker. Africa business partnership Forum 2014. (Conference) Cass Business School (2014). Chair, Session/Day Chair and Organising Committee. SOAS school of management seminar series. (Seminar) London (2014). Invited speaker. Sustainable Development in Africa through Management Theory, Research and Practice. (Conference) kenya (2014). Invited speaker. Academy of Management Africa. (Conference) South Africa (2013). Invited speaker. University of Parlemo research seminar. (Seminar) Italy (2013). Invited speaker. SEJ Special issue on business models. (Workshop) Barcelona (2013). Invited speaker. XXIII ISPIM Conference – Action for Innovation: Innovating from Experience. (Conference) Barcelona, Spain (2012). Invited speaker. Co-authors: Billitteri, C. and Hommel, U.
Academy of Management: The Informal Economy. Boston, MA. (Conference) Boston, MA (2012). Invited speaker. Academy of Africa Management Conference. (Conference) USA (2011). Invited speaker. Sol. C Snider Entrepreneurial Research Centre. (Workshop) Wharton Business School (2010). Invited speaker. Growing Bio: ESPRC project showcase event. (Conference) Cass Business School (2009). Session/Day Chair and Organising Committee. Academy of Management. (Conference) Chicago, Illinois (2009). Session/Day Chair. Academy of Management. (Conference) Chicago, USA (2009). Invited speaker. Academy of International Business. (Conference) San Diego, USA (2009). Invited speaker. LRP Special Issue Conference on Business Models. (Conference) Cass, UK (2008). Invited speaker. Academy of Management Annual Conference. (Conference) Anaheim, California (2008). Invited speaker. Academy of International Business. (Conference) Milan, Italy (2008). Invited speaker. Babson Conference. (Conference) Madrid, Spain (2007). Invited speaker. Academy of Management. (Conference) Atlanta, USA (2006). Invited speaker. Cass Research Day. (Seminar) Cass, UK (2005). Invited speaker. Cass International Workshops on various management themes. (Conference) Cass Business School (2005). Organising Committee. Biotechs go virtual. (2010) Nature Biotechnology. Biotech start-ups maximise the value of R&D outsourcing. (2009) http://bulletin.sciencebusiness.net.